And the other side. It's a beast. Beautiful, that's a nice bit of woodworking too. Have you tested it on the plants in your garden? 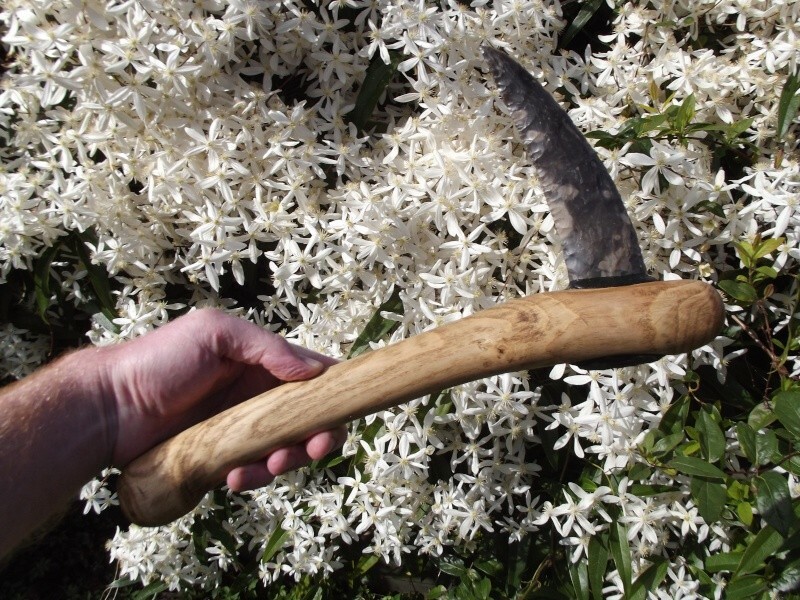 Maybe it was a hedge trimmer back in the Neolithic too. Over the summer I got into making preforms ready for pressure flaking on a rainy day. Looks like the rainy days are here! 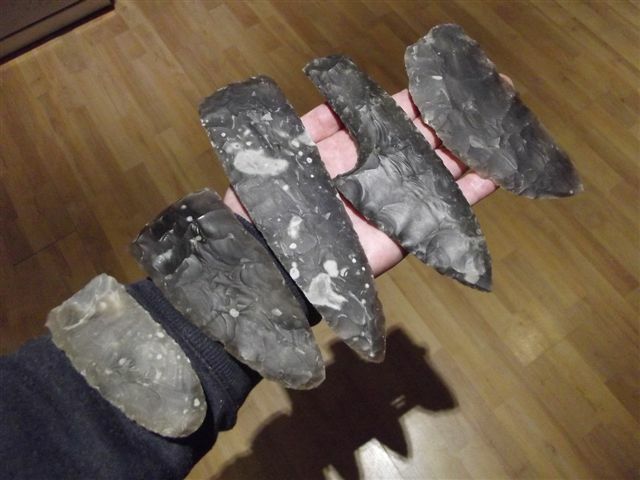 The handled knife thingy was a way of getting round a split in the flint, it started out as a large leaf point with a hope that the split would be knapped out as I thinned it, the sod remained so this the solution! looks good thought I wouldn't bother pressure flaking, it's too much like hard work. I prefer to use a fine bopper and give a few parallel rows of cosmetic flakes. how did you do the pressure flaking, is it just by hand or percussion? I'll do a pass or two with an Ishi stick on each edge both ways to eaven everything up and satisfy my ocd, I've even gone so far as to get the notching tool to take out tiny peaks in the flake deltas! This is one I have been meaning to replicate for years, ever since I first saw it. Finally got around to it. Very, very nice! Is that the flint you collected last week? yes, some nice stuff there, also some terrible. I'm making another replica I hope to finish in a day or two based on a very different design.